8:45-9:15 am Sign In/Set Up. Favorite Foods Day is a 4-H event open to all of the Stanislaus County 4-H Youth, and the member does not have to be enrolled in a Food Project. 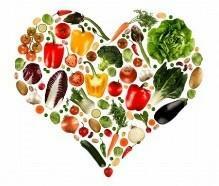 A member will have a chance to be involved in a fun educational learning experience involving food nutrition. A member improves basic skills in food preparation and display. This event encourages a member to be original and creative. A member will develop leadership talents and self confidence. A member will gain showmanship experience. Select a theme or an occasion and choose your favorite dessert recipe to match the theme. Turn in an entry form before the due date. Refer to this Favorite Foods Handbook 2019 , which contains guidelines on food safety and table setting etiquette, so you will have all the information you need to be successful. Plan a healthful meal that is appropriate for your theme. Write or print out your menu card. Gather items to create a single place setting that shows your theme. Be prepared to answer questions based on your level of expertise. Expect to be judged against a set of criteria including appearance, presentation, and knowledge. Make your item at home and prepare your recipe card. Practice your set up, introduction, and answers to questions. Get feedback from your family. Get a good night’s sleep and eat a nutritious breakfast before the event. Bring your item, recipe card, menu, and place setting on Favorite Foods Day and set it all up on your own. YOU ARE REQUIRED TO PLATE THE MAIN ITEM ONLY! Tell the judge about your dessert and theme. Answer the judges’ questions based on your Division Level. Participate in the People’s Choice tasting contest and enjoy sampling all the entries. Just have fun doing everything! There are four divisions so that a member can compete with others in the same range or experience level. The divisions are based of your age as of December 31, 2018. The awards are based of the Danish System which allows the each participant to be judged independently. Recipe must be suited to the age of member. Older members or more experienced members will be expected to prepare a more challenging dessert. A participant does not have to be a part of a Food Project to enter. The participant must do all the food preparation, cooking, and table setting themselves with age appropriate supervision as needed. Recipe should serve up to 4-8 people. Only allowed to enter one category. Space provided is 24 inches wide by 18 inches deep. At the event, there should be no further food prep other than final assembly shall take place. Entry should be ready when you arrive. This is a showmanship event. 4-H uniform or theme related outfit is encouraged but not required. A member should dress neat and clean and long hair should be pulled back as a health consideration. Participants should be prepared to answer questions from the judges about how your recipe was prepared, what food group it belongs in, and other questions. Parents and other members will be allowed to see the table settings after the judging has finished. Bring some dessert to be placed in the People's Choice contest. 2. Menu plans should be listed in logical order in which they are served, as well as being attractive in appearance. 3. Select an item for the menu that is easy to transport and will retain its attractive appearance. 4. The entire menu should be comprised of items that you could prepare on your own. The judge may ask you to describe how you would prepare any item on the menu. This patter can be followed for all meals. However, you may leave certain parts out that do not fit. For example, you would not necessarily be served for breakfast. Alcoholic beverages are not appropriate on a 4-H Menu. Capitalize all words except articles and prepositions like and of, with. You can decorate your menu however you wish and it should be apart of your table setting. Your menu should have a theme. Themes can be ethnic, festive, holiday, sports, hobby, reflect a popular TV Show, etc. Titles before the menu are optional. Use scratch ingredients rather than rely on a prepared mix unless you transform the mix into something unique. For your recipe selection, consider using a recipe that involves a unique ingredient, imaginative garnish or a unique way of preparing the recipe rather than just a basic recipe. For example, add a different flavor extract or chopped nuts into a basic cake recipe. Be prepared to tell the judges what you learned. It should be clear, accurate, and simple. List all the ingredients from the order of use. Use weight for fluid measurement like for canned foods. 12 ounces of pineapple juice, not one can. Use clear, short, descriptive sentences. Give words that describes like foamy, glossy, thick. Give a example on how to test if it's ready, if possible. For example, sticking a tooth pick into cake and excepting a clean outcome. Include baking temperature and time. Recipe for food must be exhibited for judges to review. It should be typed or printed legibly on a 3x5 or 5x8 card or 8 ½x11 printer paper. 2 copies. Include the name of dessert. On the back, include name, age, and club. Directions: Preheat oven to 350F. Coat a 6-cup tube pan Bundt pan with cooking spray. Sift together flour, baking powder, baking soda, and table salt; set aside. In a large mixing bowl, beat butter until creamy; gradually beat in sugar, about 2-3 minutes until mixture is light in color. Gradually beat in egg, egg whites, extract, and lemon zest. Beat in flour mixture and yogurt, alternating each, beginning and ending with flour mixture; fold in raspberries. Pour batter into prepared pan and bake until a wooden toothpick inserted near the center comes out clean, about 30-40 minutes. Cool in pan, on rack, for 10 minutes. Slide a thin knife around the edges of cake to loosen, invert pan onto rack and cool completely. Slice into pieces and serve. The table covering is the background for the food and table items places on it. It protects the table and makes for less noise. Your provided space will be 24” wide x 18” deep. Only one place setting or cover is prepared by participant. Only 24 inches and 18 inches deep for the participant's cover. Tablecloths, placements, or fabric may be used. It should be clean and wrinkle free. Also, be creative ex. a breach towel or bamboo for a beach theme. Choose cover and appointments that are appropriate for the theme of the menu. You may match or blend colors and textures in the dishes or use something quite different for contrast. A spring theme might use a green or flowered pattern cloth with a straw placement and matching or contrasting dinnerware. Put the plate in the center of the cover 1 inch from the edge of the table. Place the knives and spoons on the right side, the forks on the left. Both should be 1 inch away from the plate and 1 inch away from the edge of the table. For the knife, turn the cutting edge towards the plate. If there will be more than one silverware used, the one that will be used first is placed outside the other one. The napkins are usually folded into oblongs and placed next to the forks. The fold of the oblong should be to the left so it opens like a book. Or the napkin can be placed in the glass or have a napkin ring. Beverage glass is placed 1 inch above the tip of the knife. If coffee or tea is served, the cup is placed on the saucer and set to the right of the spoon, I inch away from the edge of the table. Salad and dessert bowls may be placed left of the forks and napkins or at the tip of the fork. Do not include serving dish like the cake dish or pie pans etc. on the table. After displaying your single serving on your plate setting, place the remaining dessert on the People's Choice tasting table. Items that need refrigeration may be stored in an ice chest that you provide until that time. Small table decorations is optional but the height is limited to 15” in height and proportioned to the place setting. The decorations should not touch the food unless it is edible like edible flowers or decorated caramel on the plate, etc. Examples are candles that are not lit, bud vases, floral basket, statue, etc. Menu card should be placed at the upper edge, above your place setting. Recipe should be placed in a visible location in your setting. Napkin, Dinner Fork, Dessert Fork with Bread plate and Butter knife above, Dinner Plate with Dessert Plate on top, Dinner knife, dessert spoon, Soup spoon, with water glass and cider class above. Menu and Recipe cards should be displayed. *dishes and flatware may be adjusted according to your menu. Ex. You may have no soup and have a salad so you would eliminate the salad soup spoon and add a salad fork. Remember the order of the place setting works from the outside in. **all of your place setting should reference your menu. Ex. If you have fruitcocktail, the dishes used for that should be placed there. Same with salad. If you have a coffee cup, be sure to have tea or hot coffee on your menu. Primary Members (Clovers) are required to set only for their dessert setting. Napkin with fold open to the fork, Dessert fork, Dessert plate with single serving of dessert displayed, Dessert Spoon, beverage glass above spoon. It's very important for ALL 4-H members to follow these rules when preparing exhibits for Favorite Foods Day. Keep Hands Clean: Wash hands and fingernails thoroughly with soap and water before preparing food and during preparation. Members should always wear an apron and/or clean clothes when preparing and serving food. Keep Food Clean: Food can be infected by coughs and sneezes, handling, dirty equipment, animals, and waste. It should be protected during storage, preparation, transporting, and serving. Keep Utensils Clean: In food preparation, do not cross contaminate. Use a separate utensil for each step in food preparation. After each use, wash the utensil in hot soapy water and rinse. Utensils including cutting boards and any other items in contact with the food. Keep Foods at the Right Temperature: Cold temperatures (40 degrees or below) stop germs from growing and enough heat kills them. Cold foods should be kept chilled. Hot foods should be kept hot (140 degrees) Never leave prepared food standing at room temperature longer than 2 hours. Members Preparing Food Should Be Healthy: Diseases may be passed to others in food. People with infected wounds, sore throats, and nose infections, should not prepare food or handle foods. Transport Food Safely: All foods that meet category 2 or 3 must be kept HOT (140 degrees or above) or COLD (40 Degrees or Below) at all times. If left at room temperature for longer than 2 hours, the food must be re-heated to an internal temperature of 165 degrees or disposed of. Use insulated containers to transport cold foods; add ice packs. Wrap hot food in towels and newspaper or place in insulated container and keep there until judging begins. If your food has not been at the correct temperature, alert the judges. Category 1: Foods that are almost always safe. Dry and high sugar foods are almost always safe. You can safely offer breads and rolls, cakes without cream filling, fresh fruit, cookies and crackers, candies, and dried food such as raisins and granola. Prepare food in a clean workspace with clean utensils. Cook foods at proper temperature. Keep dry foods separate from wet foods. Wrap foods for transportation. Category 2: Foods that are sometimes problematic. Cooked fruit and vegetables. Be cautious with cooked vegetables; fruit salads, green salads, and cheese. Never use the same utensils for preparing meat. Maintain proper temperature of food during transportation. Category 3: foods that potentially hazardous. All foods of animal origin and cooked starch foods. Exercise extreme caution with meats, potatoes, cooked rice, custards, puddings and those types of pies, gravies, whipped cream, milk and egg containing desserts. Separate utensils should be used and cooked to proper temperature. Maintain temperature of food during transportation. The Judges will ask you questions like why you choose your dessert and theme. Also, they might ask ways to prevent salmonella and how to properly handle food and prepare it. What the judges will look for. Menu: 1. 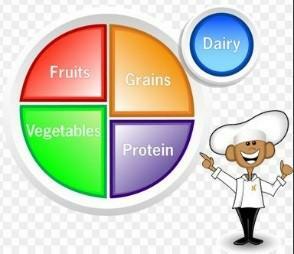 Is the menu nutritionally well planned? A variety of meats and vegetables? A variety of preparation, not all vegetables in sauces? 2. Texture contrasts: a variety of crunchy and soft types of food. 3. Color contrasts: color variety makes for interest and nutrition. 4. Correctly written: neat, clear, following example. 6. Flavor contrast: not all spicy or all bland foods. 7. Suitable for age (preparation): a select menu that you can prepare with only appropriate supervision. The Recipe: Correctly Written: ingredients first, then instructions, accurate measurements, and methods. Food Preparation: 1. Eye appeal: does the recipe look good or tempting? 2. Flavor: how does it taste? 3. Texture: is it hard, soft, falling apart, too juicy? 4. Properly done: overdone, underdone, or perfect? Seasoning: does it have too much or too little seasoning, sugar, or salt? Complexity of Preparation: does the recipe fit the ability if the participant, not too east but reasonable. Table Setting: 1. Neatness. 2. Proper placement of utensils. 3. Attractive total effect: do all the utensils look attractive when placed together. 4. Appropriate decorations: no arrangements that will fall into food or take away from the food. The food should be the main attraction. Decoration should be suitable for the space provided. Your Attitude and Appearance! The judges will ask questions about your entry and basic nutrition. Remember to have hair out of your face and pulled back if it is long. Stand up straight, smile, and give your best answer. You are the expert of your entry.